Blue concrete was built this year with over 20 years of quality experience and excellent customer service. Previously under Bocanegra's Construction, we are dedicated to meeting our customer's needs in every way possible. We are fully insured and offer a great variety of decorative concrete ideas where the only limit is your imagination! we can turn your backyard into a concrete paradise! Give us a call! We give free quotes. We also do remodels, and all of our work has a one year warranty. We offer a variety of services from pool decks to patios to interior floors. Take advantage of the space available in your home and use it for something pleasant and enjoyable. Concrete offers a large selection of various surfaces. Each surface is unique in its own look and touch. 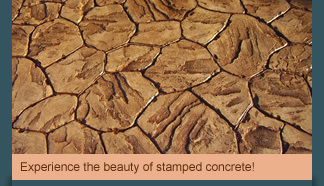 Check out our portfolio to look at the different ideas for decorative concrete.